Happy hump day kids. Thank goodness right? And in celebration I want to look at some necklaces with some punch. Give a little oomph to this Wednesday. 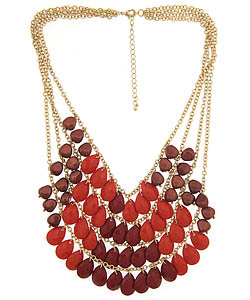 Statement necklaces come in all styles: bib, rocker, bohemian. Let's see what we can find. Talk about a statement. How gorgeous is this piece? I'm thinking a deep scoop neck tee shirt or a boatneck LBD! Oh my word this is a work of art. There are no words. 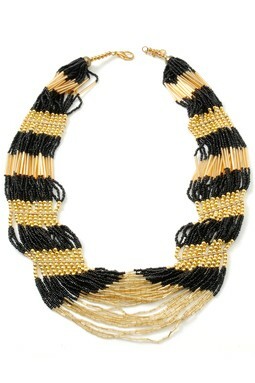 I really like the take on this bauble necklace. It's a little rocker with the chain, a little classy with the pearls. Can we just picture this with an awesome tan? Ooo la la! I hope this helped perk up your Wednesday. 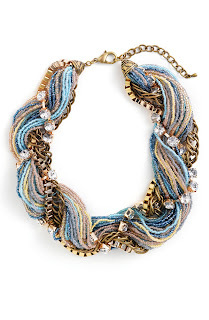 Necklaces, especially fashion jewelry are such a fun way to mix up an outfit. 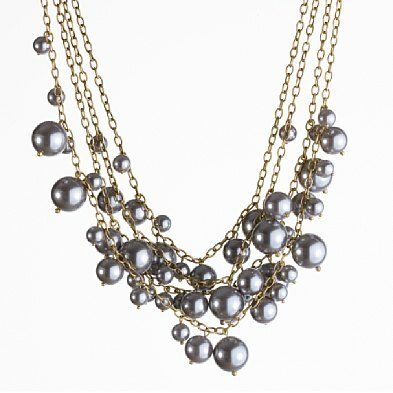 Love love love the jcrew necklace!!!! I love a good necklace!!! Such a fun way to change a look of an outfit! Oh these are amazing!!! Great picks! Love that last one especially! oooh! I love these! That second one is what dreams are made of! WOW!